Robert Moog started working with electronic instruments at the age of nineteen when, with his father, he created his first company, R.A.Moog Co to manufacture and sell Theremin kits (called the ‘Melodia Theremin’ the same design as Leon Termen’s theremin but with an optional keyboard attachment) and guitar amplifiers from the basement of his family home in Queens, New York. 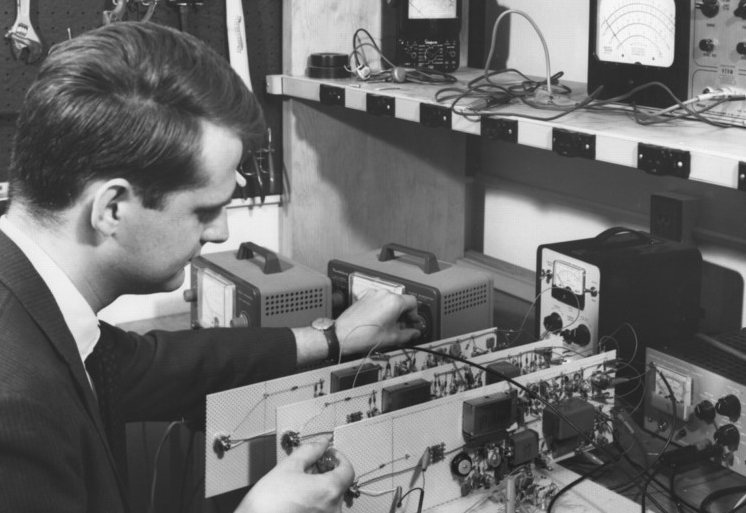 Moog went on to study physics at Queens College, New York in 1957 and electrical engineering at Columbia University and a Ph.D. in engineering physics from Cornell University (1965). In 1961 Moog started to produce the first transistorised version of the Theremin – which up until then had been based on Vacuum tube technology. 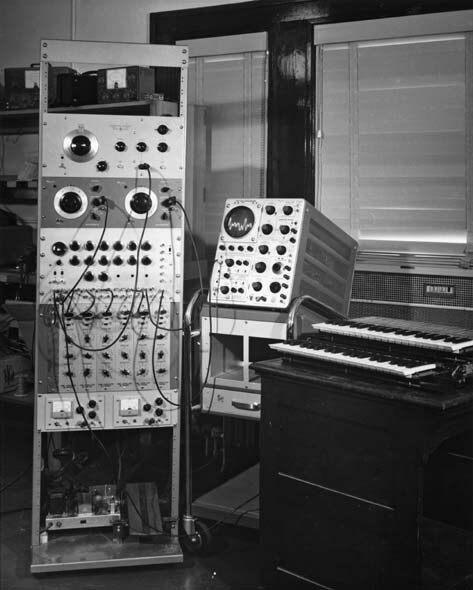 In 1963 with a $200 research grant from Columbia University Moog Collaborated with the experimental musician Herbert Deutsch on the the design of what was to become the first modular Moog Synthesiser. 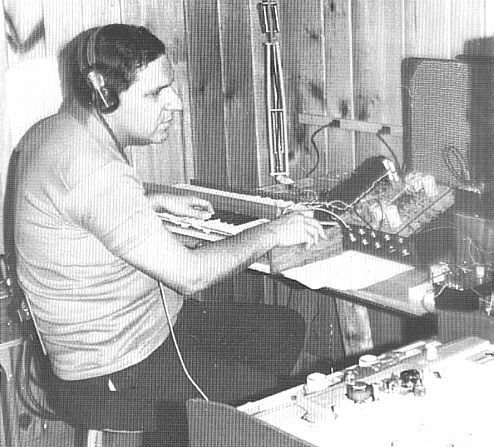 Herb Deutsch discusses his role in the origin of the Moog Synthesiser. 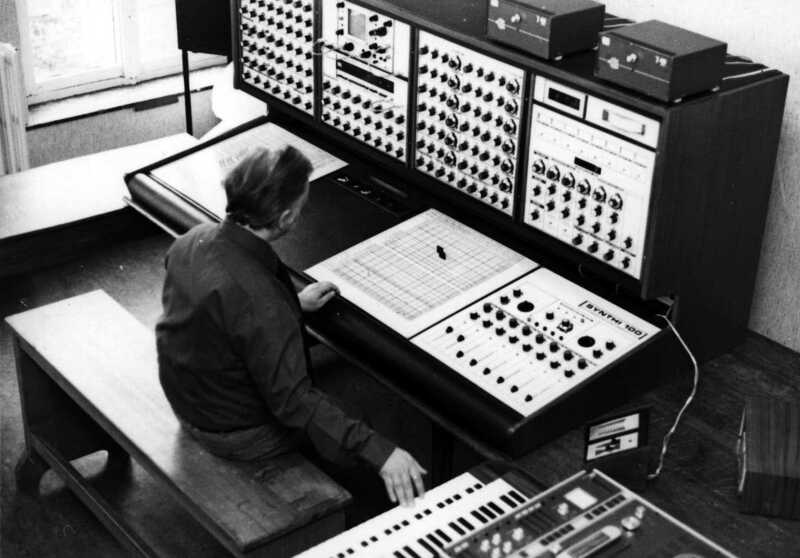 Moog and Deutsch had already been absorbing and experimenting with ideas about transistorised modular synthesisers from the German designer Harald Bode (as well as collaborating with Raymond Scott on instrument design at Manhattan Research Inc). 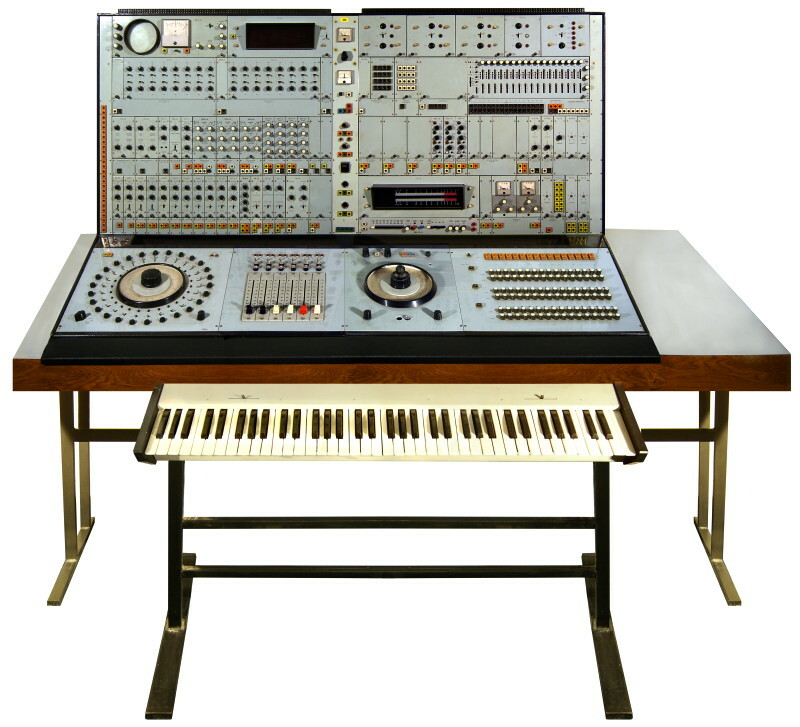 In September 1964 he was invited to exhibit his circuits at the Audio Engineering Society Convention. 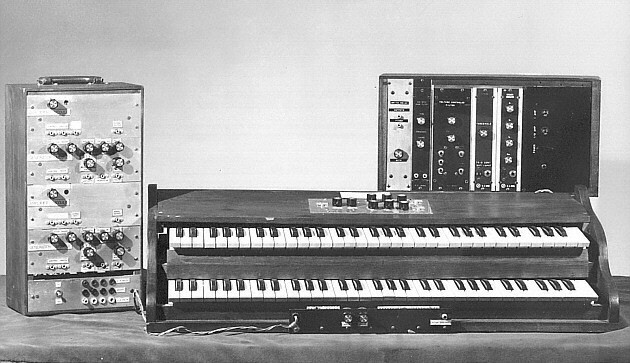 Shortly afterwards in 1964, Moog begin to manufacture electronic music synthesisers. 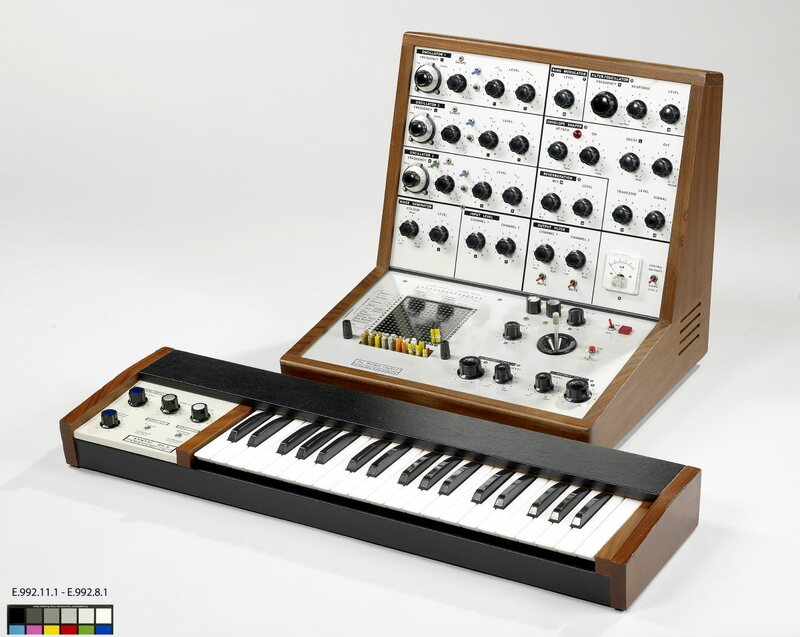 The first instrument the Moog Modular Synthesiser produced in 1964 became the first widely used electronic music synthesiser and the first instrument to make the crossover from the avant-garde to popular music. 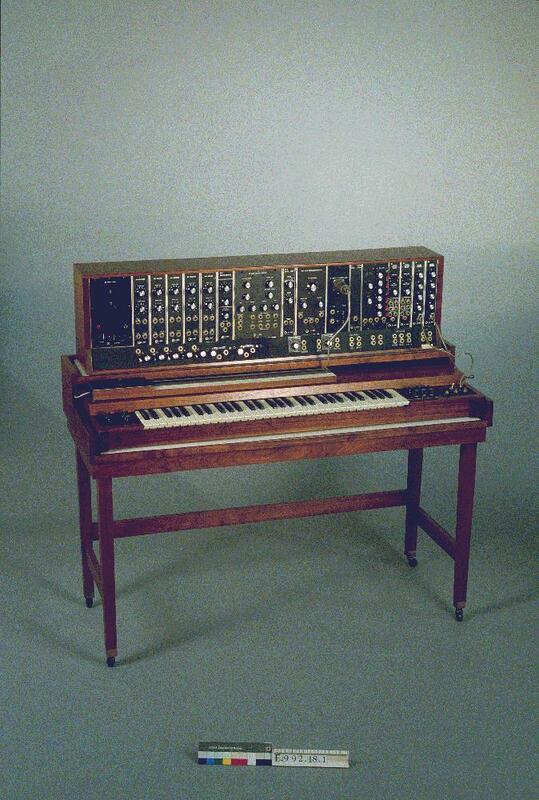 The release in 1968 of Wendy Carlos’s album “Switched on Bach” which was entirely recorded using Moog synthesisers (and one of the highest-selling classical music recordings of its era), brought the Moog to public attention and changed conceptions about electronic music and synthesisers in general. 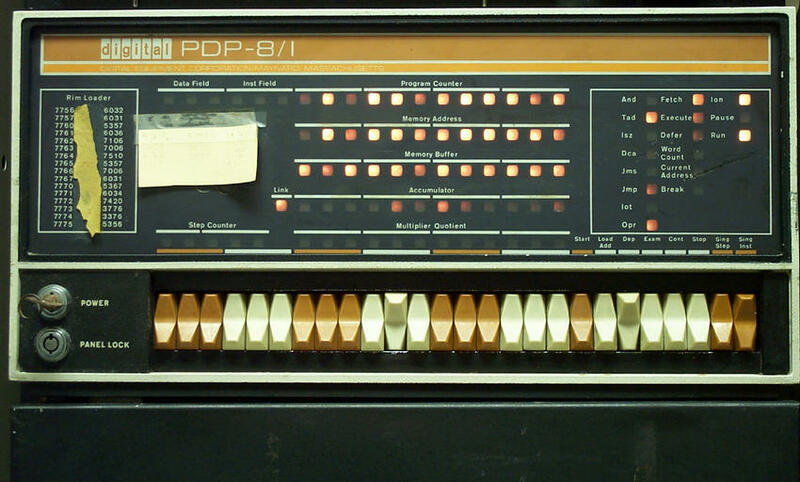 The Beatles bought one, as did Mick Jagger who bought a hugely expensive modular Moog in 1967 (which was only used once, as a prop on Nicolas Roeg’s film ‘Performance’ and was later sold to the German experimentalist rock group, Tangerine Dream). 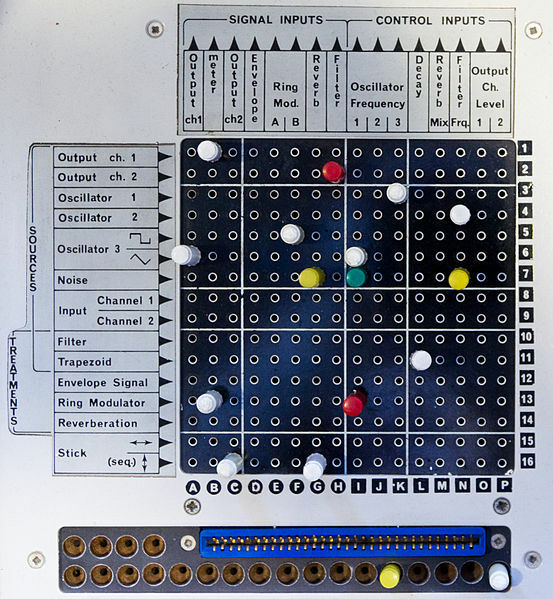 Over the next decade Moog created numerous keyboard synthesisers, Modular components (many licensed from design by Harald Bode), Vocoder (another Bode design), Bass pedals, Guitar synthesisers and so-on. Early Moog Modular from 1964 at the interactive Music Museum, Ghent, Belgium. 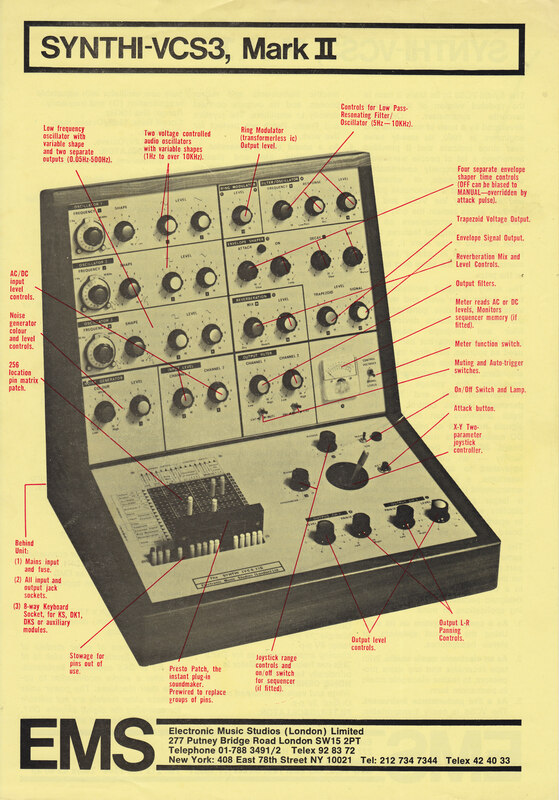 Moog’s designs set a standard for future commercial electronic musical instruments with innovations such as the 1 volt per octave CV control that became an industry standard and pulse triggering signals for connecting and synchronising multiple components and modules. 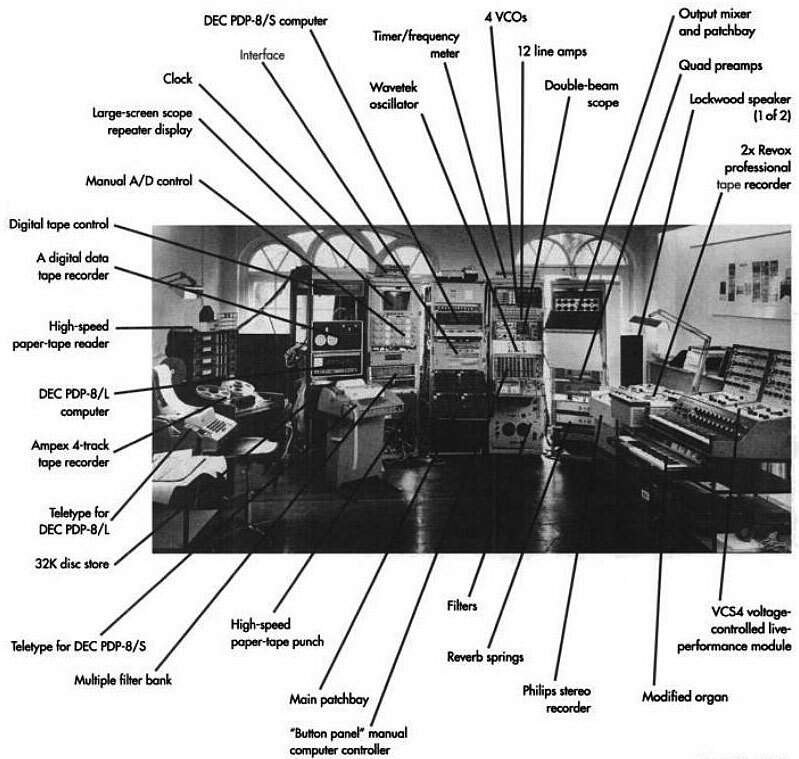 Despite this innovation, the Moog Synthesiser Company did not survive the decade, larger companies such as Arp and Roland developed Moog’s prototypes into more sophisticated and cost effective instruments. Moog sold the company to Norlin in the 1970’s whose miss-management lead to Moog’s resignation. Moog Music finally closed down in 1993. Robert Moog re-acquired the rights to the Moog company name in 2002 and once again began to produce updated versions of the Moog Synthesiser range. 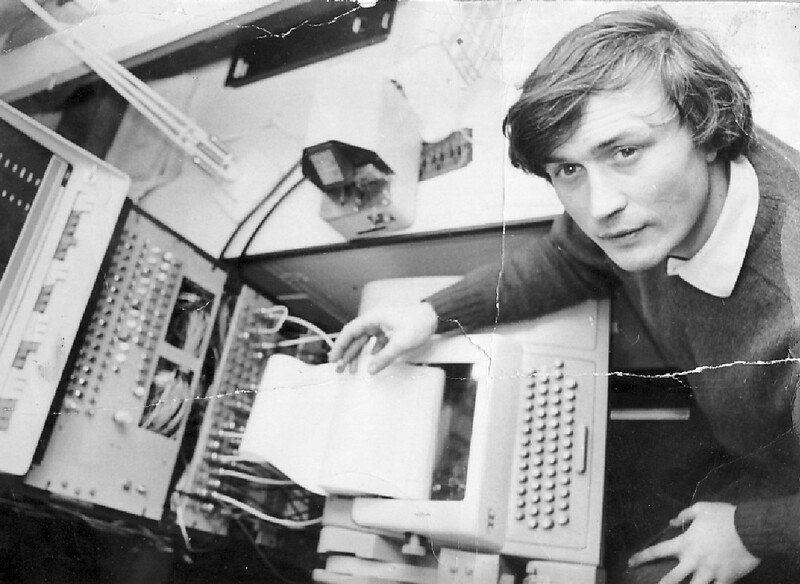 Robert Moog died in 2003.